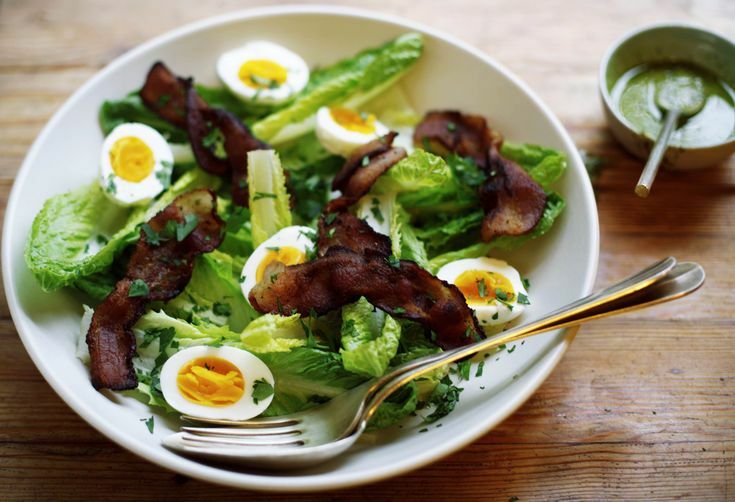 Just in time for the changing season, full of winter's hardy greens as well as the first herbs and soft lettuces of spring, we're bringing back this green-flecked roundup and updating it with a few of our newest favorite recipes. 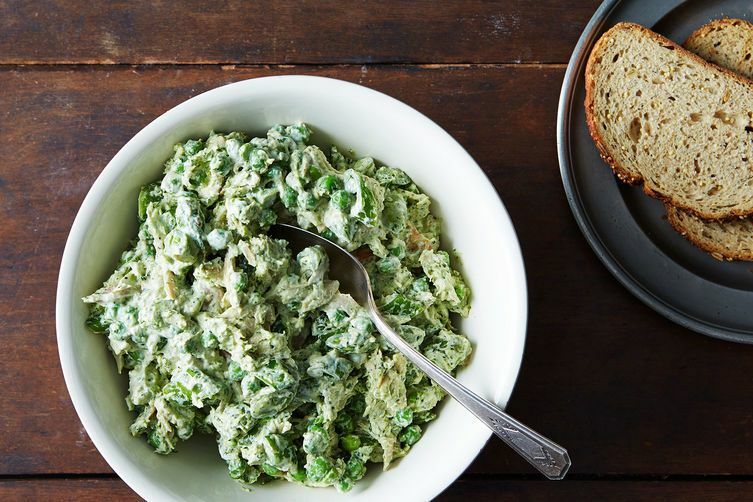 Pesto should be your best friend for breakfast, lunch, and dinner. It works at any time of day and on anything you want. 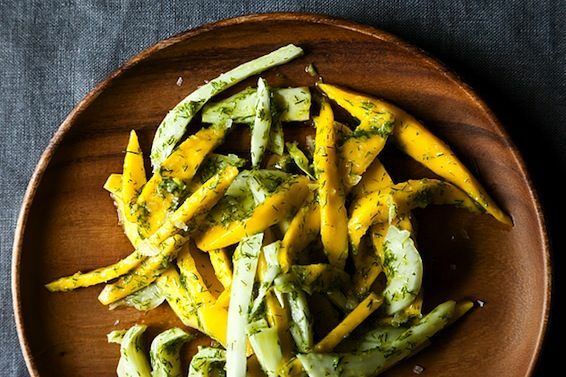 What's more, pesto needn't be confined to the basil of your youth: We're here to tell you to forget what you know. 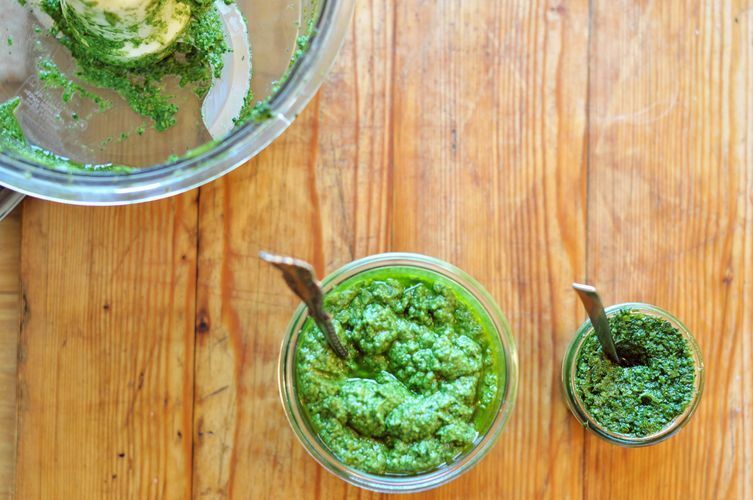 That's right: Pesto can be made out of practically any vegetable or herb that's green and flavorful. Arugula? Yes. Mint? Yes. Garlic scapes? Yes, please! And if your mind isn't spinning already, just think: You can add whatever nuts, oils, and cheeses you'd like (or leave out the cheese for a vegan alternative). 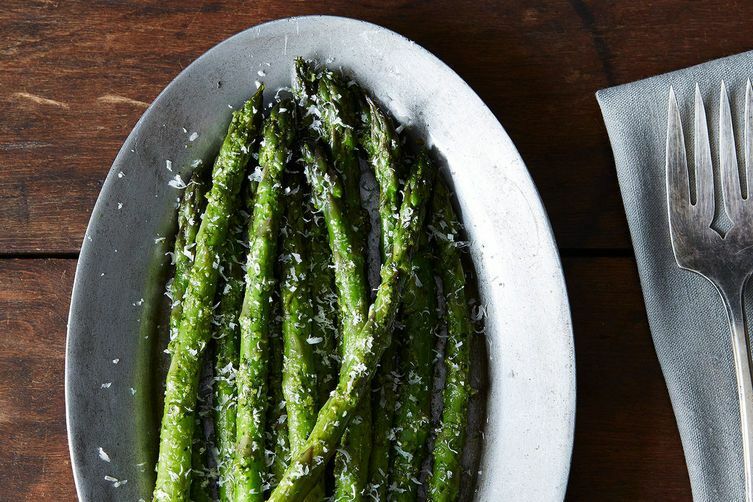 So use up your crisper full of languishing greens and give them a new lease on life—it's time to get creative. 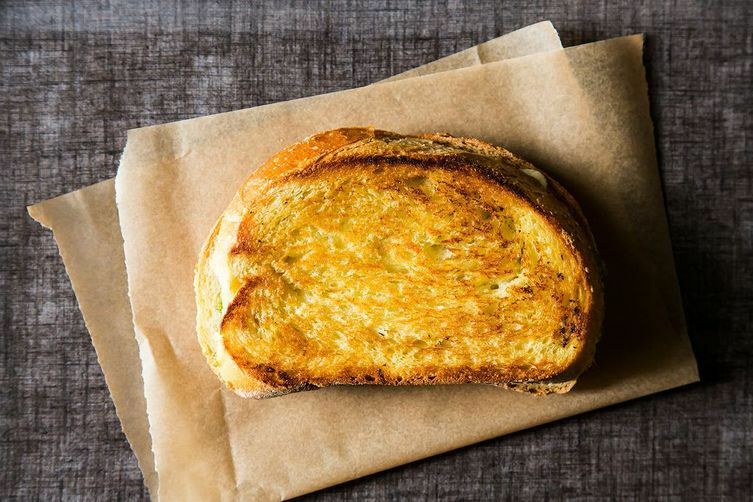 Once you've found your favorite combination, toss it with pasta, spread it on sandwiches, use it as a dip for vegetables, or eat it by the spoonful. First and seventh photos by Mark Weinberg, third and eighth by Phyllis Grant, fifth by Bobbi Lin, and all others by James Ransom. Until very recently, I was a pesto purist. Basil, olive oil, parm, toasted nuts. That's it. No messing around. Then I discovered arugula-pumpkin seed pesto, and I converted. Love all these! Pistachio Sage sounds just decadent! Now I have mint pesto on my mind! And that sandwich looks awesome...too bad I'm gluten free :'( ! Yum! I love that Grilled Cheese recipe! 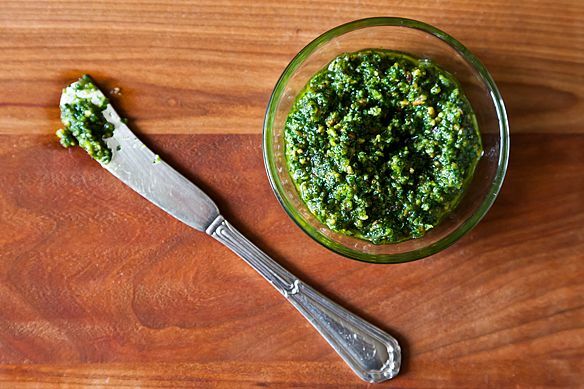 Also, thanks for sharing the Kale Pesto recipe! You forgot this recipe: https://food52.com/recipes/26593-crispy-roast-chicken-stuffed-under-the-skin-with-basil-garlic-puree - or haven't you tried it yet? In France they leave the nuts out (and sometimes also the cheese) and call it "Pistou." 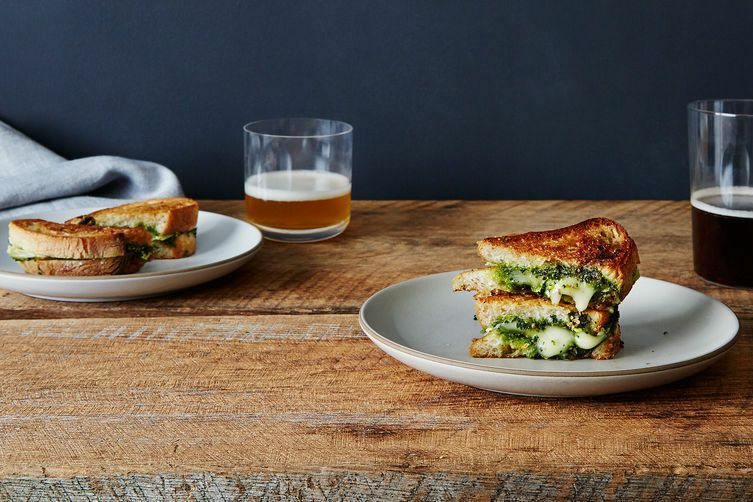 that grilled cheese with arugula pesto is my hands-down favorite sandwich! 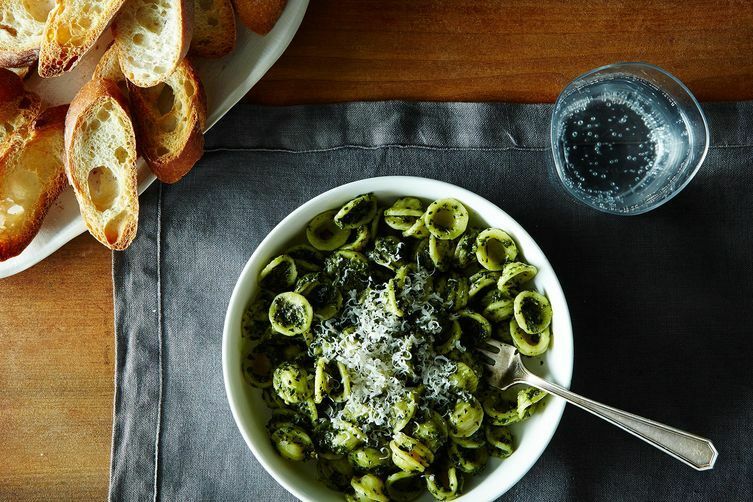 In Lynne Rossetto Kasper's _Italian Country Table_ there's a stunning recipe for a mint, pistachio, and toasted almond pesto. It's become such a standard part of my repertoire--and anyone who's had it--that I forget it's not common knowledge. Like almost everything in that book, it's a real keeper. I've been making garlic scape & hazelnut pesto this spring! very tasty on grilled mozzarella cheese sandwiches! 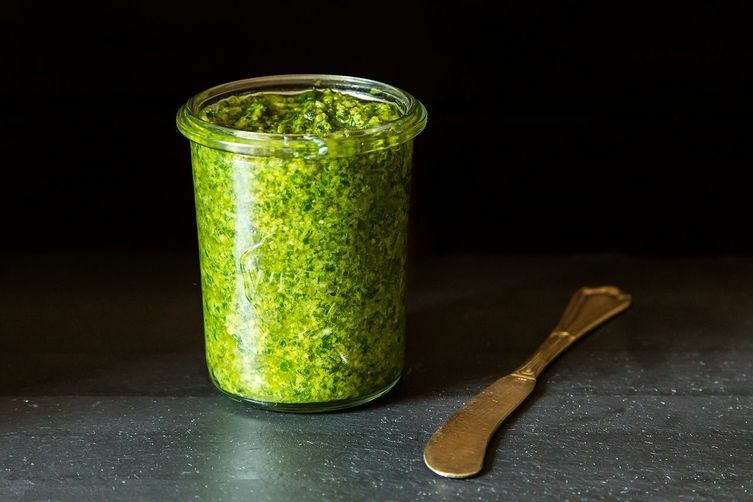 Ramp top / pistachio pesto ~ es muy deliceux! All beautiful!! Yum! And thank you for including mine! Fiveandspice's grilled bread with thyme pesto is amazing! I think I'll stay with my home grown and local basil or parsley pesto. It's the flavor - nothing against arugula. I made a fantastic mint & almond pesto last summer. We have loads of mint growing in our yard & I'm always looking for ways to use it. My new favorite is kale and walnut pesto (blanched kale, walnuts, olive oil, lemon juice and parmesan). It's so delicious and versitile, I've made three large batches over the past few weeks. 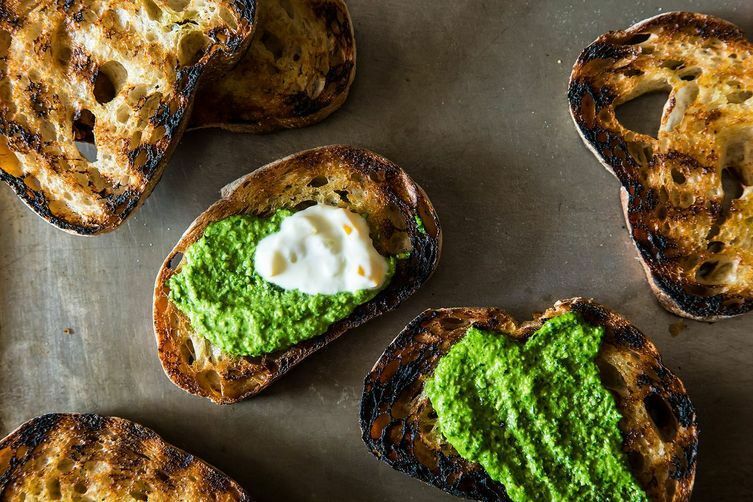 I'm really fond of arugula pesto served over ricotta on toast.